Millions of people across America have serious drinking problems. One underlying reason for this fact is the common use of alcohol in everyday social settings. In addition, many people turn to drinking as a form of relaxation or stress relief. Whatever the motive for alcohol use, a pattern of excessive intake can result in the onset of alcoholism or clinical alcohol abuse. Fortunately, there are a range of healthy alternatives to drinking. These alternatives address some of the main motivations for alcohol consumption and don’t lead to the use of any other mind-altering substance. 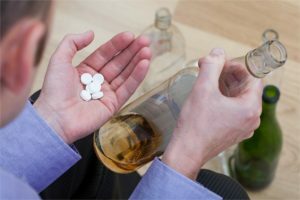 Are There Any Drug Alternatives to Alcohol Use? If you or your loved one are struggling to avoid participation in heavy drinking, an addiction specialist can help provide crucial assistance. Call (888)-459-5511 today for more information on treatment options for alcoholism and alcohol abuse. 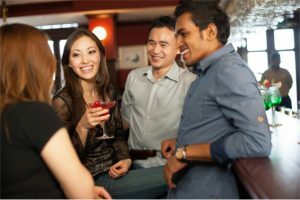 Social drinking does not typically increase risks for serious alcohol problems as long as beer, wine or liquor intake does not exceed moderate levels. The National Institute on Alcohol Abuse and Alcoholism (NIAAA) sets daily moderate intake for men at a maximum of four standard drinks. Women stay within range when they consume no more than three standard drinks a day. To avoid increasing their risks for alcohol-related problems, men must also keep their total weekly intake under 15 drinks. Women must keep their weekly intake under eight drinks. Many adults will find it easy to stretch the limits of the NIAAA guidelines by doing nothing more than taking part in social drinking at gatherings and events. This is true, in part, because of the prevalence of drinking as a social activity. A desire to join in with others also plays a role. It can be challenging to stand in a room of drinkers and control the urge to raise a glass along with everyone else. “Non-alcoholic” beers can also provide a healthy way to avoid drinking in social settings. However, despite their name, these products do contain small amounts of alcohol. This fact makes them unsuitable for people currently affected by diagnosable drinking problems. People not affected by alcohol abuse or alcoholism may find that the flavor profiles of non-alcoholic beers make them an excellent substitute for the real thing. Whether consumed alone or in the company of others, alcohol is often a go-to choice for its perceived ability to increase relaxation and decrease stress. The substance’s reputation for stress relief is not entirely undeserved. Well before the body reaches the point of legal intoxication, alcohol’s effects on the brain can lead to an increased sense of ease. However, in people who imbibe in excessive amounts, the brain effects of drinking can change drastically. Instead of contributing to a decline in stress levels, heavy alcohol consumption can worsen stressful feelings, make it difficult to relax and help create a general sense of unease. Some heavy drinkers have diagnosable symptoms of alcoholism. However, most do not. Instead, they exceed the limits for moderate intake by taking part in the practice of binge drinking. An alcohol binge is defined by the act of consuming enough beer, wine or liquor to achieve a state of drunkenness (i.e., a blood alcohol content of at least 0.08) in two hours or less. In America, roughly one out of every six adults meets this standard one or more times a month. Regular binging can raise alcoholism risks by as much as 50 percent. These activities provide their benefits by doing two things. First, they reduce the body’s production of cortisol, adrenaline and other stress-generating hormones. In addition, aerobic exercise can help increase the body’s output of “feel-good” endorphins. 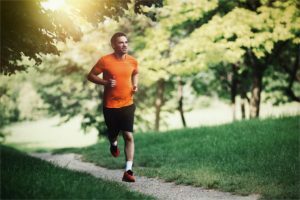 Production of these chemicals is especially associated with participation in endurance sports like long-distance running. Meditation – Focused breathing and other meditation techniques can help reduce anxiety levels, as well as ease pain sensitivity and feelings of depression. Body scanning – Also known as progressive muscle relaxation, this approach combines focused breathing with gradual, intentional release of tension in muscles throughout the body. Deep breathing – This approach promotes relaxation by replacing stress-promoting shallow breathing with slower, deeper inhalations and exhalations. Movement exercises – Exercises such as qigong, tai chi and yoga promote calm and focus through a series of slow, controlled body movements. In addition, people with serious drinking-related concerns can consult their doctors or an addiction specialist. For several reasons, none of these drugs provides a suitable alternative to drinking. To begin with, all benzodiazepines, barbiturates and opioid medications are prescription-only items intended for use in people with specific physical or mental health problems. Their use is illegal in any other circumstances. Federal law also completely bans the consumption of opioid street drugs. In addition, just like alcohol, all of these substances have the capacity to make the brain changes that trigger substance abuse and substance addiction.. In alcohol treatment programs, doctors do use several approved medications to help participants avoid drinking. One medication, disulfiram (Antabuse), promotes abstinence by ramping up the toxic body effects of alcohol consumption. Another treatment option, naltrexone, makes the process of drinking less pleasurable. A third option, acamprosate (Campral), helps reduce consumption by correcting alcoholism-related imbalances in normal brain chemistry. In treatment, doctors also use behavioral psychotherapy to help participants stay sober and create their own long-term alternatives to drinking. Despite the prominence of drinking as a social activity and tool for stress relief, people who want to avoid developing alcohol-related problems have a wide array of potential options. Available methods range from non-alcoholic beverage selection and physical exercise to targeted stress relief and lifestyle modification. Not all of these options will appeal to every person. 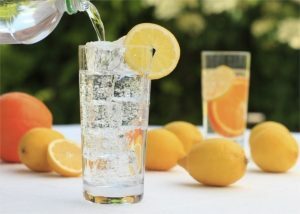 However, with a little experimentation, most people should find a mixture of methods that lead to lowered risks for heavy drinking and an alcohol-related health diagnosis. There are no legal drug options to safely mimic the effects of alcohol intoxication. However, in a treatment environment, several approved medications can help problem drinkers establish or maintain their sobriety. These medications often go hand-in-hand with active forms of psychotherapy.